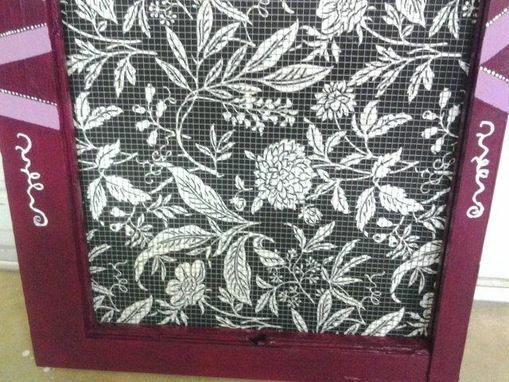 To start off with what this item once was is a very old window pane from an old house so it is vintage and some what antique because the house was over 30 yrs old. I took this pane and took the glass out and created a masterpiece. The color I chose is called Purple Stripe another name for liac by (Valspar) and Berry Brown in the Grape family by (Valspar) so if you ever have to do a touch up. I just thought of my own design and got creative and said I never can find enough places for my earring and perfumes, also will be great as a store display. The shelf has little liac beads trimed around it for bling and glam and black and whithe fabric on back with chicken coupe wire on top and iron shelf brackets and glass black and white knobs to match fabric and shined with a gloss wood protector poly , so this frame easily mounts on a wall where you may hang it or it can go into your living space to clip pictures to, the clip can be found at hobby lobby or any craft store. you can also put candles on the shelf as well. I dont know the exact weight but if feels like about 25 to 27 lbs. 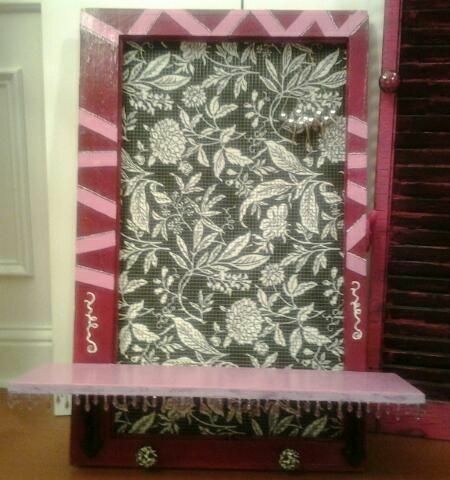 Any little girl or your inner child will love this Shabby Chic One of A Kind Window Pane. 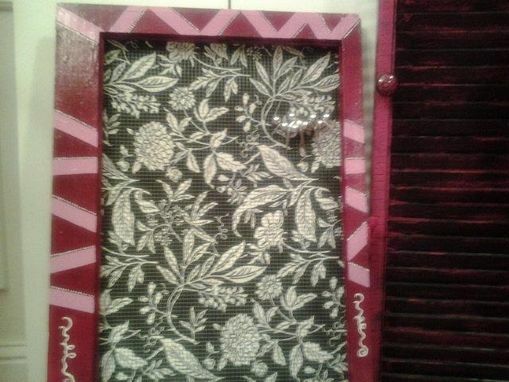 If you like this frame but want a different color email me your colors and I will make the perfect little pane for you, but note the sizes may vary because all houses come with different size panes some larger than this one, but I can make it also with cork board if you don"t like wire. 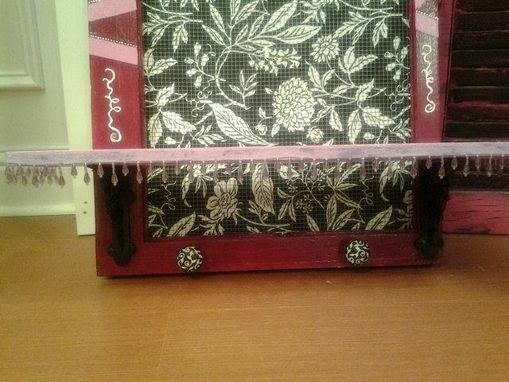 Shipping not included so send me your zip code for price, it will be shipped with shelf off so I will lable right and left side and the predrilled holes will be visible. 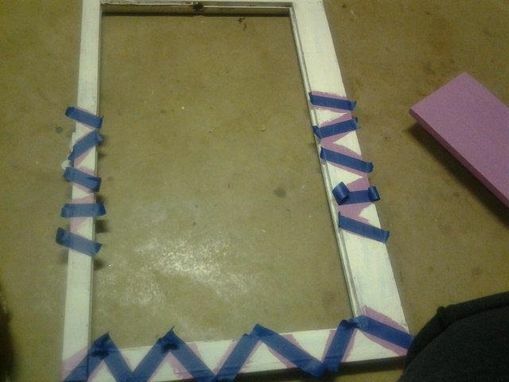 All panes are different depending on supplies.